The first test run of the Chinese made four-coach train was made on the Acqua line on Tuesday. With the arrival of the Metro, several areas of Noida will see a boost in economic activity. 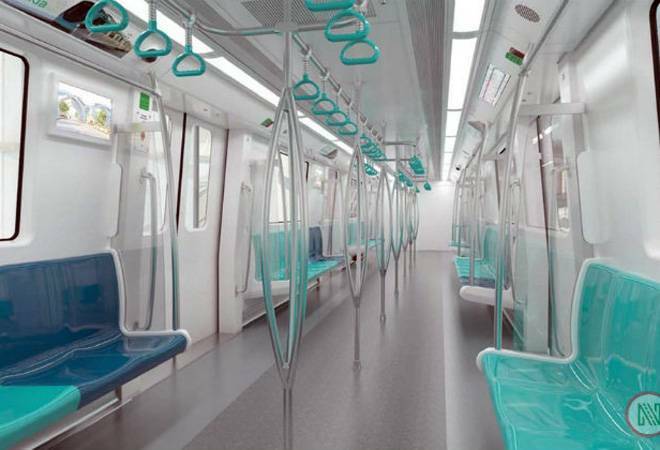 As many as 21 stations in Noida will be connected with the Metro after the launch of NMRC's (Noida Metro Rail Corporation) 29.7 km Aqua Line in October. The new Metro line will connect the residents of Noida and Greater Noida with the Metro line, while also making Metro travel to the national capital New Delhi easier. The first test run of the Chinese made four-coach train was made on the Acqua line on Tuesday. With the arrival of the Metro, these areas are also likely to see a boost in the economic activity. However, it will take at least a year before the Aqua line will be directly connected with the Delhi Metro. The Aqua Line and the Blue Line will meet at Sector 70, Noida, through a skywalk. The Blue line extension from Noida City Centre to Electronic City, Sector 62, will, however, be completed by September 2018. Total 11 trains will ply on this Metro corridor. "The DMRC is currently working on constructing six additional stations to extend the Blue Line from Noida City Centre to Electronic City," PD Upadhyay, executive director of the Noida Metro Rail Corporation (NMRC) told Indian Express. The Aqua Line, being made at the cost of Rs 5,503 crore, will start from Theta (Sector 70) in Greater Noida and will pass through Delta 1, Alpha 1 and 2, Pari Chowk and Knowledge Park 2. It will also connect Noida's Sectors 149, 144, 137, 81 and 50 among others. The Aqua line, along with other Metro lines like Magenta, Blue Line and Blue Line Extension, will add to the expanding Metro coverage in Noida. On August 6, the DMRC had launched the new section of Durgabai Deshmukh-Lajpat Nagar in Delhi Metro's Pink Line. This new 8.1-km stretch is a part of the Delhi Metro Pink Line from Majlis Park to Shiv Vihar.